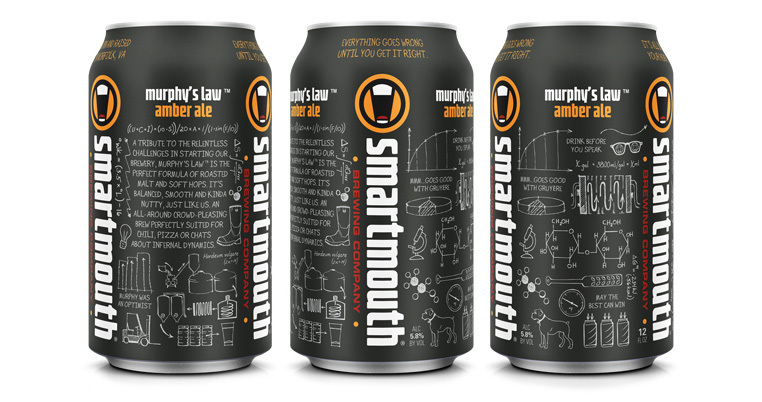 Smartmouth, a local craft brewery, hired us to evolve their brand identity and create original can designs for the debut release of their three flagship beers – Alter Ego, Murphy’s Law & Rule G. We wanted the cans to be unique, smart and clever, like the Smartmouth brand but also reflect their brewery, which is known for meticulous testing of their beer and a tasting room that features giant chalkboard walls. 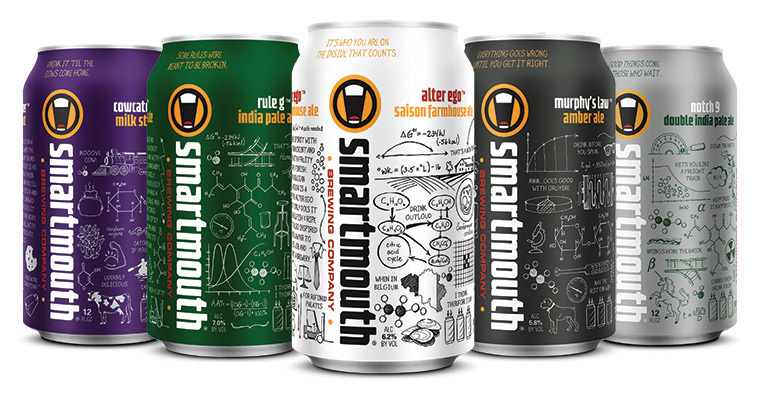 We emphasized the “smart” in Smartmouth with actual formulas/charts specific to their brewing system but also included elements of their story relevant to each beer. 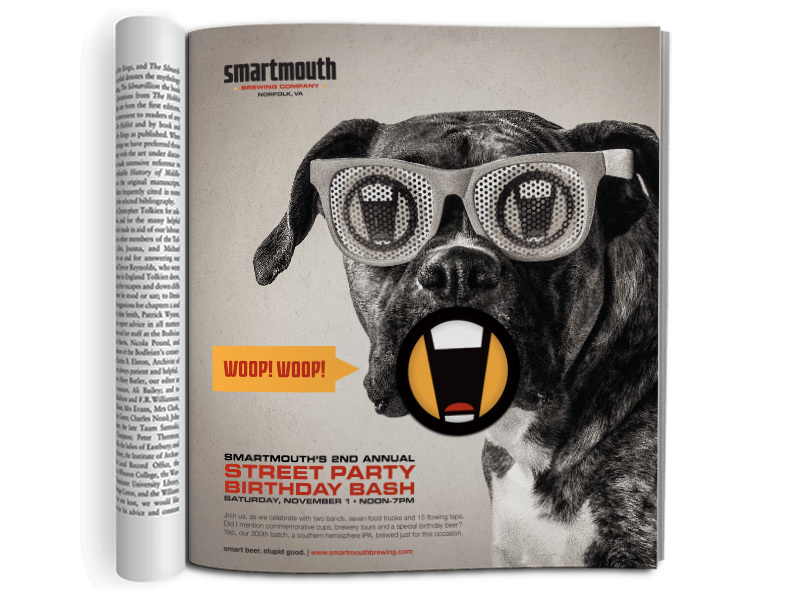 With so much detail the cans become something people “study” while they drink, having a “cereal box” effect. 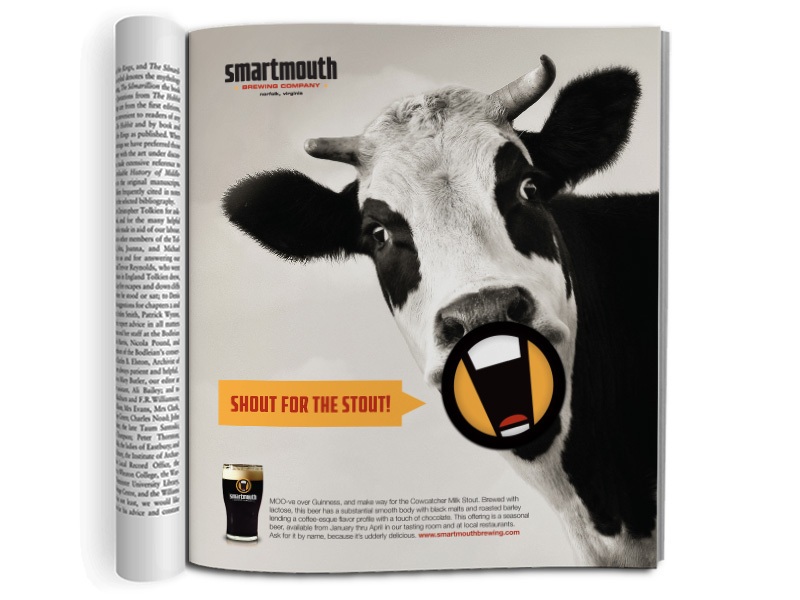 In addition to this, we also created print ads, merchandise, signage and collateral for the brewery. We even had the privilege to name a few beers. 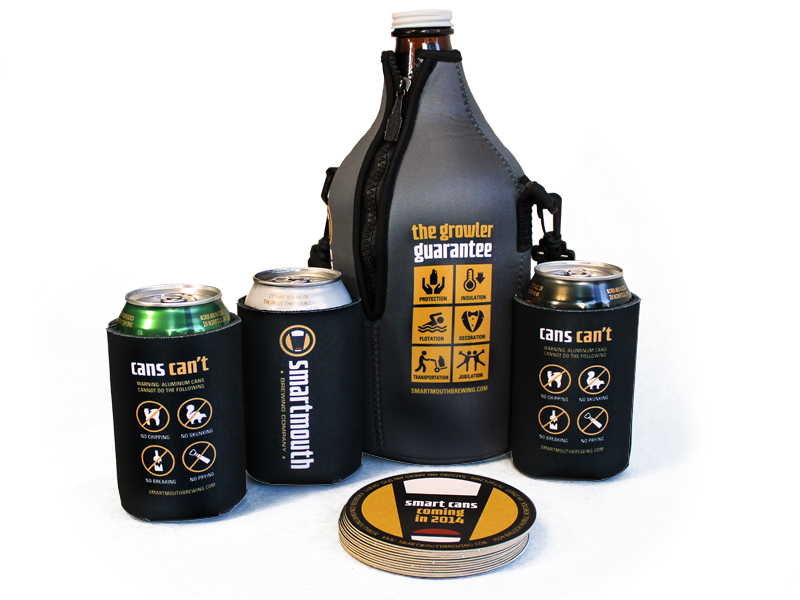 This has been a truly rewarding account, as the quality of work, people and beer are top-notch.